Are you irritated that the Grand Junction City Council voted to change the name of North Ave. to “University Boulevard” without asking people what they thought about it first? Are you tired of tourists getting killed on Horizon Drive while the City pleads it has no money for pedestrian safety, while at the same time the City gives away half a million taxpayer dollars every year to Colorado Mesa University, and almost $6,400/year to the Grand Junction Chamber of Commerce? What would you say to City Council if only you could? Well, you CAN talk to the entire City Council in person about anything that’s on your mind. It’s easy, totally free and can make a very big impression. Anyone can speak to the entire City Council in person during the Citizen Comments period that occurs at every public City Council meeting. Anyone can say anything to Council during this time, as long as it is NOT about something that’s on that evening’s agenda. To make it even easier, the public comment period is near the beginning of every meeting, so you won’t have to sit through hours of hearings about construction permits and sewer lines before you get to have your say. The best part is that the entire City Council must sit there and listen to YOU and when people show up, Council starts paying big attention. To speak during the public comment period, all you have to do is sign up with the City Clerk right before the meeting starts. The clerk is always present at the meetings. 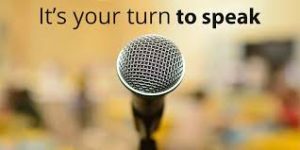 There’s no limit on the number of people who can speak during the Citizen Comment period, so bring your friends to make a real impression. So don’t just sit there and grumble whenever the City does things you don’t like. Or, on the flip side, if the City does things you DO like, like keep your streets clean and safe, tell Council that as well. Make use of this little-known open secret of the Public Comment Period. Come out to a City Council meeting, bring your friends, and don’t be shy. Take your chance to talk directly to the entire Council and let them know what’s on your mind. It’s FREE, and frankly it is usually the most interesting part of the meeting. If enough people do it, it just might help drive some positive change from the bottom up for a change. I checked the most recent city council meeting agenda. The public comment period is near the beginning of the meeting. They often have a second public comment period near the end of the meeting, too, though. 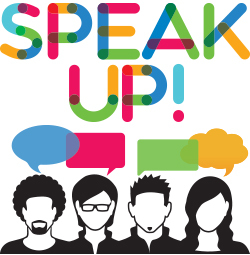 So you can go and speak your mind at the beginning of the meeting! Wow, that’s great news. I don’t much give a rat’s behind what they rename North Ave, because that’s not the real problem. The real problem is, there are way too many Republicans in that retirement home. Which will of course retard the fundamental transformation of that institute of higher learning into a hotbed of socialism. Something sorely needed on the western slope. My issue is Ute Ave. I would like to propose an addendum that the name be changed to; Disadvantaged Ute’s Blvd, as an honorarium to the lowest form of human life who hangs out in that area. You know, sort of patterned after poverty flats. And the pauper’s graveyard down below Orchard Mesa Cemetery. I was going to propose the erection of a statue, in Bum park, you know holding one of those cardboard signs that said “sick, lame and lazy; I need another beer. Anything helps, and may God Bless”. But I figured that might offend someone’s sensibilities, and it would probably end up in the scrap yard. But “disadvantaged Ute’s” is good. And certainly it would be a nationally known name. And here’s thanking you in advance for your support Anne. BTW, if you ever get a chance, you ought to go check out that pauper’s graveyard. Interestingly enough, all the poor folks buried there appear to have been midgets, well according to the spacing of the number tags that are their eternal markers. I don’t know. Might have had something to do with diet or occupational hazards. Or perhaps it’s just the product of where they died. But the university’s body farm should pretty well take care of any future overcrowding of unclaimed bodies. Doesn’t it kind of make you wonder how those folks would vote? I hear they lean Democrat, but this is Mesa County, so who knows?? A name change? Well now, how unexpected could that be? They are after all mostly all Democrats or liberal or progressive, or socialists or just GOP wearing wool. But what’s in a name? PS. Did you ever wonder why public comment is always the last thing on the agenda, and usually runs into the wee hours of the night? Well, that’s to keep the blue collar working class riffraff and trailer trash out of the mix as well as those elderly, early to bed, early to rise Tea baggers. I guess we’ll just have to find some other way to make our voices heard. And maybe you’ve noticed, there are a growing number of people who are thinking a lot about that lately. Even more than there were just prior to our last Presidential election. Maybe that’s why The Donald hears us.